The Dandenong District is a metropolitan electorate located approximately 26 kilometres south-east of Melbourne. 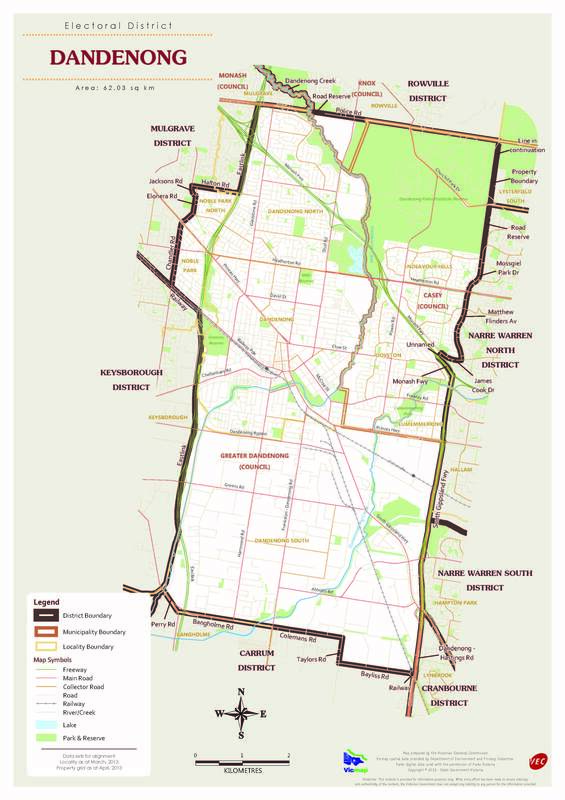 It encompasses the suburbs of Dandenong, Doveton, Eumemmerring, and parts of Dandenong North, Dandenong South, Endeavour Hills, Noble Park, Noble Park North and Rowville. The District includes residential and industrial areas, the Dandenong Plaza shopping complex and Churchill National Park.